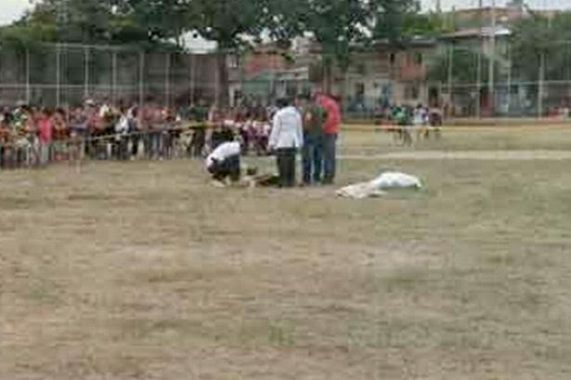 An amateur football match was marred by violence after a player shot and killed a referee and also injured another player after he was given a red card. The match took place on Sunday in the Campo de la Ribera area of Cordoboa, Argentina. The referee, Cesar Flores, 48, was killed after being shot three times - once in the head, neck and chest, according to police. According to the report by Mirror Sport, Police say referee Cesar Flores, 48, showed the assailant a red card for making a heavy tackle on an opponent. The player, who is at large, then retrieved a gun from his bag and shot Flores three times. He also wounded another player, 25-year-old Walter Zarate, before fleeing the scene. The shooting appears to have taken place during an amateur game that the Argentina’s Football Federation might not have organized. If so, this looks like a case of social problems in the South American nation spilling onto the field of play.